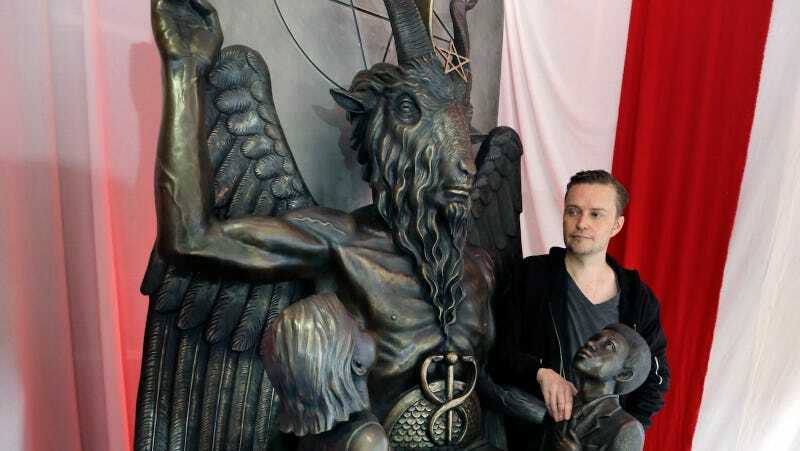 The Satanic Temple has been battling some of Missouri’s strict abortion laws as an imposition on religious freedom, by way of a lawsuit on behalf of a woman identified as Mary Doe. It seems like it might actually work. The case states that in 2015, Mary Doe was forced to wait 72 hours, listen to a fetal heartbeat, and accept a brochure that states life begins at conception before she was allowed to have an abortion. These are all acts, the suit argues, that go against Doe’s religious beliefs as a member of the Satanic Temple. Those beliefs include a conviction that a “nonviable fetus is not a separate human being but is part of her body and that abortion of a nonviable fetus does not terminate the life of a separate, unique, living human being,” according to NBC News, which she told her doctors in St. Louis. Doe’s case was filed in 2015, and defense lawyers have argued, according to the St. Louis Dispatch, that she’s not protected under religious rights laws. But on Wednesday, a breakthrough was made in the case that may change Missouri’s abortion restrictions. Mr. Sauer affirms that the State’s interpretation of statute (MO Rev Stat § 188.027) is that women only be offered the “opportunity,” to have an ultrasound and listen to the fetal heartbeat, and if a woman declines hearing the audio, the ultrasound need not be performed and the requirement has been satisfied. The State Supreme Court has not yet reached a verdict, but this is the closest anyone has come to forcing an acknowledgment that these abortion restrictions are not actually mandatory in court. Hail Satan.